I was delighted to read an email from Neil Hedges, my old boss, saying well done for being in the PRWeek Power Book 2013 top 12. A man who founded an agency, an industry figure - it felt strange for the shoe to be on the other foot. If I'm honest, it is because I have an ingrained sense of inferiority, combined with an allergy to bragging. Many other senior women I know share the same qualities. Is that part of the reason why there are only two women in the top 12? It's definitely not about talent. Women don't give up easily. We are tenacious, resilient and win hands down as team players, excelling at collaboration, emotional intelligence and intuition. This leads me to the conclusion that too few women are making it to the top for two reasons - it doesn't matter enough or it matters too much. These, strangely, are not mutually exclusive. For some women, the aggro and patently unpleasant side of being a business leader in today's world is just not worth it. I know outstanding senior women who quit corporate life because they get as much money, stimulation and family time, and less aggro, working freelance from home. For others, the joy of building a team and a business is profoundly linked to individual emotional fulfilment. This is systematically eroded by the pain of unpicking what we have built. After five years of an economy bumping along the bottom, many comms leaders are doing just that. What I do know is that a business with just men at the top will have lost 50 per cent of its expensively developed gene pool for leadership succession. It will have lower emotional intelligence from its leadership and a paucity of role models for the next generation of talented women. What is the catalyst for change? We have asked ourselves this at Unilever, and the answer is startlingly simple. It is the business case: teams and companies with gender balance at senior levels are significantly more successful than those dominated by men. This is not fluff and political correctness - it's about the serious business of how you grow in today's tough climate. 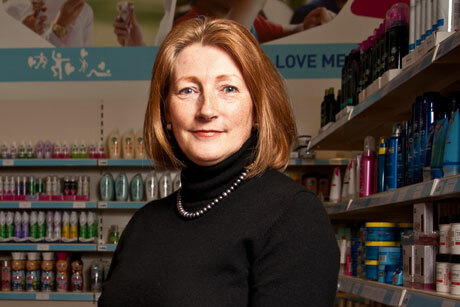 Sue Garrard is senior vice-president of global comms at Unilever.